While a million and one articles will be written today – some political, some opinion pieces and some news stories. Many people will argue about the meaning of today or the actions of a few. There will be many proclaiming that there are right ways and wrong ways to remember. There will be arguments and debates. But at the end of the day, whether you are young or old, 4th generation Canadian or first generation, male or female, the biggest thing today is to just Remember. But to remember in a way that means something to you personally. 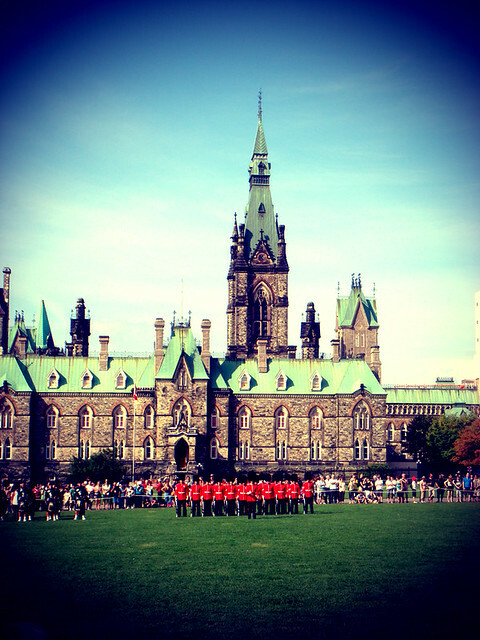 Think about the sacrifices that others have made for the country we call Canada today. Take time to think about what others in the past have done to ensure the lifestyle we all take for granted. Because at the heart of it all, that is what today is all about. It’s a reminder to never forget and honour the sacrifices of others before us. Once again the Canadian Political world has been confronted with the always comical debate surrounding Political Ads. The recent spat over the infamous In Over His Head Justin Trudeau spots and the nitty gritty provincial battle in British Columbia have resurrected this timeless argument. And yes, if you asked most Canadians they would tell you with no uncertainty that they despise this level of political dialogue, while secretly not wanting to admit that these tactics can work like a charm. But low and behold, there is a new form of Political Attacks Ads that has quietly surfaced that is even more pathetic and lame. That of course is the world of the dreadful Political Attack Web Site. Yes, we are all familiar with the more polished older brother TV version and there is so much discussion revolving around the topic that I won’t get into too much detail rehashing those talking points. But to reinforce my point about the uselessness of Political Attack Web sites I do have to explain why the TV ads work so well. The television attack ads mainly work because of two basic concepts. The first is pretty simple – TV ads in general are something that is forced upon a viewer rather than something one seeks out. As any hockey fan of the past couple of weeks can attest too, The Conservative Party of Canada have flooded the NHL Playoffs with the infamous Justin commercials. And yes, make no mistake that this is completely calculated and designed to hammer home a highly tested message to a captive audience of about a million plus Canadians every night. And if we’re being honest with ourselves, no matter how annoying or pathetic a political attack ad is, the average Canadian won’t bother changing the channel to ignore it. Truth be told most people would rather sit through the 30 second spot rather than chance missing one of Glenn Healy’s insane ramblings. So in regards to investment, they are about as effective as it gets for one’s political campaign dollars. Second, as much as people hate the concept, attack ads do an effective job of laying down the ground work for a subconscious theme against one’s opponent. Mr. Ignatiff, Mr. Dion, Mr. Mulclair and more recently British Columbia’s Adrian Dix can attest to how much a theme, whether correct or not, repeated over and over again through TV ads can slowly degrade the casual voter’s viewpoint of a candidate. So Why Are Political Attack Web Sites So Useless? With those two key attributes in mind lets look at the main weaknesses of the political attack web site. First, regardless of what social media experts and middle aged entrepreneurs want you to believe, a web site is something that you can’t force people to see. No matter how many times a site is retweeted, posted to Facebook or you print out a QR Code, a web site will only draw interest from a user who wants to read that information. So attracting a non-partisan viewer is going to be nearly impossible, well, unless you pretend it’s a cute cat site. Don’t get me wrong these site do get hits, but if we’re being honest with ourselves they usually come from partisan party faithful or the opposition looking to see what’s being said about their candidate or party. The average casual voter isn’t going to be interested in seeking out this information unless it is of interest to their daily lives. Second and this is a key one, the average person does not enjoy reading negative web sites. I know, a shocking concept. But ask yourself this: when was the last time you bookmarked a negative political attack web site or subscribed to the RSS feed? Think about it for a second. Probably never. And why would you? How does a negative political web site benefit the average viewer’s daily routine? If we were to look at the return rate of a Political Attack web site, I’m confident the return visitor rates would be embarrassingly low. These sites are not developed to foster an active community or even contain dynamic content, most are built as one off standalone sites to either compliment or initiate a conversation… and most can’t even achieve these simple goals. Lastly, most of the sites are so crudely designed and developed that they probably do more harm than good. As viewers, it’s well known that our opinions are largely based on first impressions. So imagine taking a negative theme and spin it into a positive experience in the three to four seconds that a viewer takes to lay judgement on a web site. It is an impossible task. Take this classic shadow cabinet NDP website or better yet the accompanying “In over his head” web site. With their big scary fonts and over the top photoshop skillz are you convinced of the evil nature of their targets or are you turned off by how much time and effort was put into such a negative campaign? If you were already a partisan hardliner you’ll probably agree with the content and are already lovin’ it like McDonalds, but for anyone the effects are minimum at best. Okay, now that I’ve spent a good chunk of time ripping into the uselessness of these sites, the question becomes can Political Attack web sites serve a better purpose? Better yet, is there an effective variation that is actually a positive and engaging experience? The answer to that is yes. The amount of work involved in creating a site similar to the handful that Wynne’s team have produced, are about equal to or less than the previously mentioned web sites, but the viewer experiences are literally night and day. One bombards you with the dirt and negativity of politics, while the other instills a sense of excitement, progressiveness and change. And of the two sets of examples, Wynne’s collection of sites are far more likely to leave a positive sentiment with the user. So you may be asking, why even bring this up? Simple. With the advent of robust and easy to use tools such as WordPress, Tumblr or even NationBuilder, it has become incredibly easy for anyone to build a web site – especially a political one. We know this as a fact, but just because it’s easy to build a gaudy attack site doesn’t mean that you should. Yes, politics is a dirty game, but there becomes a point when the minor benefits of negativity outweigh the positives. With the upcoming civic elections in Alberta just around the corner the temptation to draw attention to a candidate by investing in one of these feeble sites is there, but hopefully I’ve shown that there are better ways. If recent events prove anything it’s that the general patience for negativity in politics is diminishing within Canada. Voters are looking to see the positive side of our political leaders. So in a round about way, my advise to aspiring candidates and campaigns is to ignore the Political Attack web sites and do something different, unique and creative. A little over two and a half years ago, I revealed that my wife had been accepted into the Masters program at George Manson University’s Institute for Conflict Analysis and Resolutions. I talked about the excitement of the move and all the emotions that came with leaving Calgary for the capital of the United States. Well, now it’s time for another change. As of this month, my wife accepted a full scholarship to Carleton Universities’ prestigious Communications Ph.D program. My wife won’t admit this, but this is an incredible feat, with only five to seven students admitted each academic year. In essence, it’s the culmination of two and a half years of struggle, hard work, and amazing support from our friends and family. It is a fantastic opportunity for my wife who will be able to take her current passion for social media and political upheaval, to the next level in the academic world. As with the move to Washington in 2009-10, this move is just as emotional. On one level, we’ve absolutely fallen in love with The District; with all it’s warts, insanity and unbridled electricity. Washington DC is an amazing city. 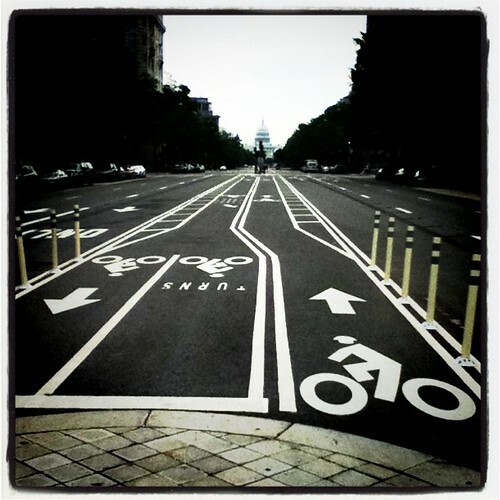 Yes, people love to say it’s a second rate step child of New York, but DC truly is in a league of it’s own. Whether it’s wandering through Chinatown with Caps fans, slumming it at RFK to see DC United, stumbling along U-Street to get a Ben’s Chilli Dog before heading to the Black Cat or spending an afternoon walking down the mall – the city really is like no place on earth. Yet on the other hand, as a couple, we’re extremely tired. I don’t mean on the level of we don’t sleep enough, eat horribly, don’t get enough exercise and are far too busy… wait… on second thought, actually I do mean that. Washington is an incredibly high paced city. But I also mean tired in a way that many will never understand. The past two and a half years have been amazing, but we’ve also grown weary of Gluten Free Mac N’ Cheese and Ham sandwiches for dinner. I won’t delve into it too much, but as visitors to this fine country it’s been a constant struggle and the financial pressures have been quite difficult to deal with. As a couple we contemplated staying in Washington, but the allure of a more stable and simplistic transition back to Canada won out. This isn’t a formal farewell to Washington, much as Calgary will never be out of the picture, but for the time being the allure of universal health care and a more enticing environment for entrepreneurship is too much to pass up. We’ve spent the past two years taking advantage of the amazing opportunities that DC has provided us. We understand that some of the things we’ve done during our stint here would never have happened if we didn’t move across the continent. In turn being in DC has allowed us to grow as couple professionally and emotionally. So as my wife promised the Honourable Brian Mulroney last year, we are indeed taking our brains back to Canada. I know I’ve rambled on about my wife and our decision, and a few of you may be wondering what’s in store for me. First off, for those who knew me in Jr. High and High School will find the connection between Calgary, Washington and Ottawa hysterical. Just for shits and giggles, I might have to resurrect the ratty Sens cap from it’s diseased ridden coffin. But on a more serious note, we couldn’t be more excited to for this next step. Some of you may remember my video blog post two years ago, where I talked about my intentions for my tenure in DC. I was planning to use these two years, to really refine my craft and my career. Luckily for me I was able to do that and more. Not only am I a more confident designer and entrepreneur, but I’ve also been exposed to a new and engaging element of my industry. I’ve had the chance to take in some amazing conferences and talks, heck I’ve even had the opportunity to speak in front of High School kids and University Students on my work as a web designer, investor and mini-entrepreneur. So in essence, DC has been the perfect elixir for my career. But now we’re moving back to Canada and as a 32 year old man, it’s time to take the shackles off and lay the bricks for a solid future. Frequent readers will have noticed a dramatic change in my content on the site . It’s true that the political climate of Washington has infected me. And how could it not, I’ve always been a very politically engaged citizen, but by being immersed in the political hot bed of western society it was inevitable that it would take over. 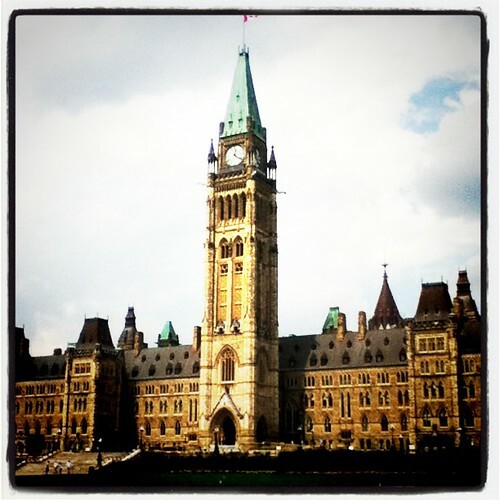 And in a way, being in Washington has made me even more passionate about Canadian politics. In a way, by seeing the pitfalls that has engulfed the American political climate, I am far more motivated to do what I can to help thwart this inevitable notion in my home country. Canada is a fantastic country, but one slowly being dragged down into a world of complacency and apathy. An element which is critically disappointing when it comes to the fundamentals of democracy. The company made it’s first volley into the political realm last year and with AlbertaTweets.ca, we’ve made a more public declaration. The opportunity to move to Ottawa only further goes to solidify this decision. I’m not sure entirely which path I will take, the company will still continue to play a bit part in our lives. But the direction and focus may shift from solely web work to political campaigns and the world of web data both in Calgary and Ottawa (another huge benefit to moving back to Canada). Similar to what I’ve been able to do in Washington, I am planning to leverage my time in Ottawa to reach out on a federal and local political level… and with that who knows what lies ahead… might be nice to see the Turner name on a yard sign one day. Either way, it’s an exciting time for the Turners. Yes, we are again leaving a city we absolutely love, with people and a lifestyle we won’t let slip away. But it’s on to a new adventure and the next stage in our lives. 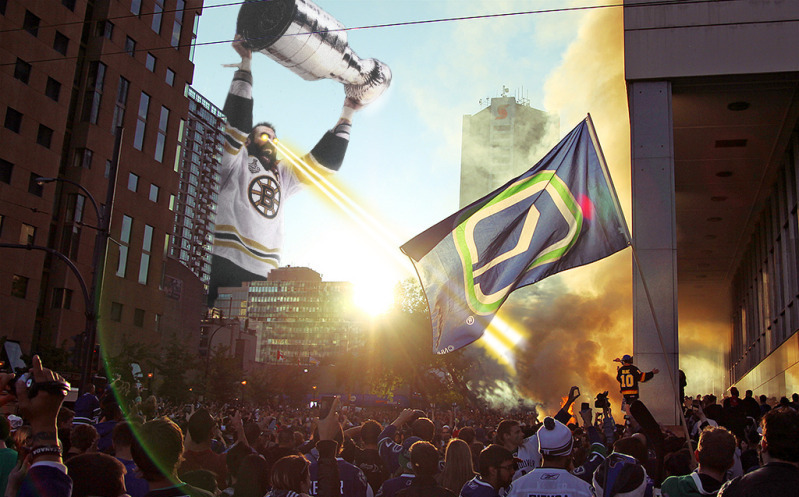 As Calgary has formed an element of our personalities, so to has Washington. So in two months, it’s goodbye DC. Alright, everyone has probably already seen this. I know I’ve posted it at least a dozen of times since I stumbled upon it from CalgaryPuck.com… But it’s just too good not to officially post on the old c.t.overdrive. I know it’s probably totally not appropriate, but hey, Happy Canada Day kiddies. My favourite part has to be the evolution of the Maple Leaf from 1920s to the 1970s. So there you guys go, there’s my Canada Day present. Second – I featured this story and the game on the yycapps.com web site, but CBC Calgary has a great interview with Rob McCready (A brooks iPhone app developer) on the development of Infinity Control and his battle with the West Nile Disease. If you want to hear an impressive story, please check out this interview from the CBC. Rob’s determination to get Infinity Control into the Apple iTunes store is a great inspiration. 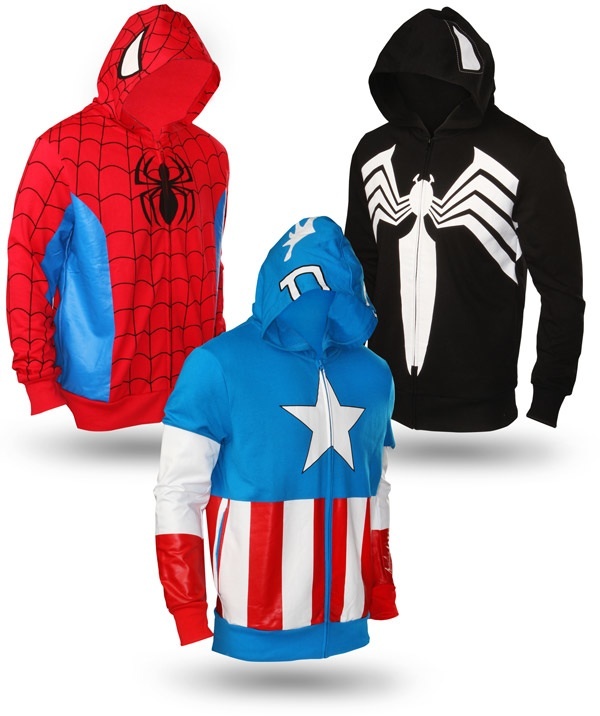 Fourth – If I was about 10-12 years younger I’d be all over these Marvel Superhero Hoodies… Although, I’m pretty sure that the only one I might be able to pull off without looking like a complete Muppet is the Venom hoodie. Sixth – From what I can heard, of course only from a distance, Sled Island was a smashing success. Even better it appears that for the first time in a long time, the entire Olympic Plaza main stage was open to serve alcohol (i.e. no restrictive beer gardens)… Which is awesome news for the city. Well done Calgary, we’re one step closer to being all grown ups. Seventh – OffTheBeatenTracks.tv is back and with it, one of my favorite indie Canadian Darlings is featured – Montreal’s Winter Gloves. Eighth – Because it’s the start of the Holiday/Party season, it’s Girl Talk’s Summer BBQ Mix. 140 odd tracks of rump shaking goodness. Ninth – If you’ve ever read the site, you’ll know that I pretty much despise the daily coupon trend… well unless you’re company’s name is Living Social… but this sounds intresting. Yipit is a daily aggregratitor of all the Hyper-Coupons in your specific city. So instead of signing on to 6 different email chains you can instead, sign-up for Yipit and get access to dozens of coupon sites in your area. See now that’s the thinking that will push the Coupon industry in the right direction. http://dearphotograph.com/. You can read the incredible story via the Globe and Mail … or you could just look at this photo. We all know that Canadians are heading to the polls for first time since Social Media crept into our daily consciousness. Canadian mainstream media has be salivating at the so-called Twitter and Facebook Revolutions across the middle east and recent social media successes of Barack Obama and Naheed Nenshi. Because of which, most national news outlets are jumping on the Social Media bandwagon and transposing those scenarios on to Election 41, dubbing it Canada’s Twitter Election. While Social Media will play a part in the remainder of the campaign, I can say with almost certainty that Election 2011 will not be ‘won’ by a Social Media Movement. Anyone who has ever run a successful Social Media campaign will tell you that the returns on these campaigns are never instantaneous. A successful Social Media campaign takes time, patience and a whole lot of hard work. The mainstream media loves to portray the big successful Social Media campaigns of the past few years as these amazing brightly coloured rockets of excitement, which shot out of nowhere to captivate our collective imaginations. Which is all find and dandy, but it’s far from the reality. Rather a well orchestrated Social Media campaign is a slow and tedious grind. But with steady persistence and a bit of luck it can be turned into an avalanche of activity and excitement at the right time. Of course the most popular example is Barak Obama’s grassroots online campaign. Every media outlet loves to champion this as the quintessential template for a political Social Media campaign. But anyone who followed the campaign, understands that it didn’t just appear on September 1st, 2008. No, the true momentum started building during the Democratic Leadership primaries of 2007. Where excited and influential supporters (Think Oprah) started jumping on board the Obama-train. From there it quietly built it’s momentum, like a small snowball, until November 2008 when Obama was elected. Another, more local, example is the Social Media campaign of Calgary’s Naheed Nenshi’s. For those who followed the municipal campaign for much of 2010, they’ll tell you that Nenshi’s campaign didn’t start on August 12th. Rather his campaign started gaining traction with an influential circle of supporters way back in April of 2010. It started with an innocent little Facebook page. From there it shifted gears from a small group of excited supporters to a full on political movement. The campaign quietly built a solid online foundation; picking-up casual supporters and influential champions (something which I wrote about early in the Municipal election) up until October, where Naheed was elected Mayor of Calgary. Which brings me back to Election 41. Don’t get me wrong, I cherish the Canadian Parliamentary system. Especially the ability of opposition parties to force a non-confidence vote on minority governments. Unfortunately, an unplanned election doesn’t provide the most conducive environment to build a powerful online movement. Successful Social Media campaigns, especially in the political realm take time and patience; something which is not available to any political organization during a spur of the moment two month campaign. The suddenness of this election means that any real sustaining momentum or movement won’t be able to gain traction until it’s far too late. Using the Obama and Nenshi examples, one of the key elements in both scenarios was that it was a clean slate for the respective electorate populations. In the US, George W. Bush had finished his last term as president. Because of which, there was a fresh slate of political figures vying for the leadership of the two national parties. In the Nenshi example, we had an incumbent mayor who was stepping down after years at the helm, allowing a fresh new slate of challengers to replace him. One of the key factors in both situations, was that there was an unusual opportunity of change – an opportunity which is easy to rally a grassroots movement around and to captivate an audience. Meanwhile in the run up to Election 41, there really isn’t the same sort of urgency or freshness to Canada’s political parties. Most of the leaders, with Michael Ignatieff as the lone oddity, have been at the helm of their respective parties for quite sometime. There is a national familiarity and sense of repetitiveness with this election and it’s showing with the underlying national feeling of apathy. And yes, a case could be made that there is a different sort of urgency in this election. One where it is either a push for a Conservative Majority or to defend a Conservative Minority, but it’s not the same as a clean political slate. Many Canadians are already deeply entrenched in their loyalties to one party or the other. There isn’t the same level of excitement or variety during an election with already establish party leaders and a series of stale agendas. In a clean slate political environment, there is a inherit new sense of excitement and opportunity. There is also an unusual amount of undecided voters. Maybe blame it on the attention span of the Gen X’ers, Gen Ys and The Millennial, but there really isn’t buzz or sense of newness with this election. In addition, there isn’t a bevy of undecided voters looking for a party to represent their values. So an online movement from either party is going to be hard pressed to gain any sort of traction, especially in a short two month time period. Now don’t get me wrong, Social Media will play a part in Election 2011. But I think it would be foolish to think that it will have as big as an impact as the mainstream media is hoping for. There are far too many situational factors working against the Social Media organizers of either party to truly cultivate any real momentum for their causes. I’ve been watching the proceedings from the comfort of my DC apartment and from simple observations, I’m are not seeing the same sort of buzz creeping into Canadian’s online conversations. The rhetoric is there in snippets, but we are not seeing the heavy influences on either network championing a Conservative, Liberal or NDP agenda. Yes, there have been a couple of blips. For example the campaign to have Elizabeth May added to the leaders debate gained some traction and there was a bit of a ground swirl revolving around the Ignateuff-Harper debate. But overall the conversation has been quiet and subdued. It’s because of these factors that I’m pretty confident that Social Media won’t be as big of a factor in 2011. But that’s not to say that Social Media’s influence in the political spectrum is dead. One only needs to start looking at the grassroots movements cultivating in Alberta for the upcoming provincial election in 2012 to see that it will continue to be as important as ever. A quick peak online sees the perfect storm for Social Media to wield it’s heavy influence. You have an incumbent Premier stepping down, a growing group of fresh faced Progressive Conservative leadership candidates gaining traction and a growing wave of optimism and opportunity surrounding two upstart opposition parties – The WildRose Alliance and The Alberta Party. Who are both generating an incredible sense of buzz in their own right. So yes, while Social Media will probably be deemed ineffective in 2011, one only needs to look to Alberta in 2012 to see its future… Or better yet wait till Election 42 if the Conservatives receive another minority and a clean slate of political leaders are brought to the table.